Victory is the meaning of the Palm tree. Its hard yet delicate shape evokes ancient worlds but at the same time it is becoming a refined piece of furniture of modern days. 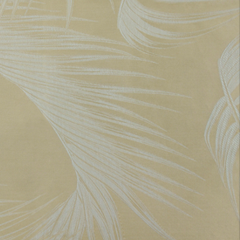 The weaving of the branches on this yarn-dyed jacquard fabric is very precise and the interplay of the threads in the warp elegantly highlight the veins of the leaves. The Arona sham is well suited to classic but also contemporary environments. 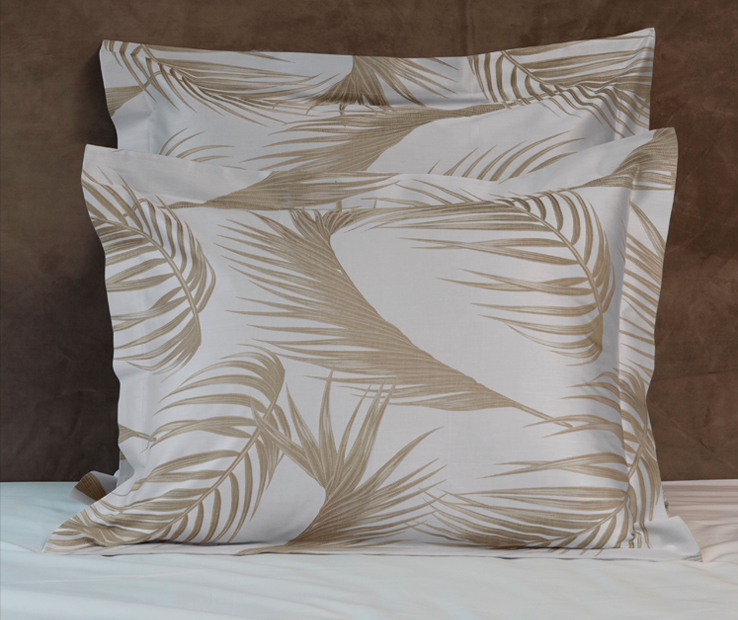 Available in Standard, Euro and King sizes, the Arona Shams have four flanges of 2 inches neatly finished with a simple hem. Made in Italy. Victory is the meaning of the Palm tree. Its hard yet delicate shape evokes ancient worlds but at the same time it is becoming a refined piece of furniture of modern days. 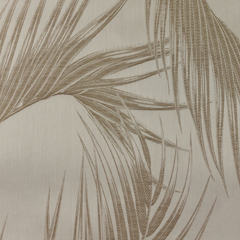 The weaving of the branches on this yarn-dyed jacquard fabric is very precise and the interplay of the threads in the warp elegantly highlight the veins of the leaves. 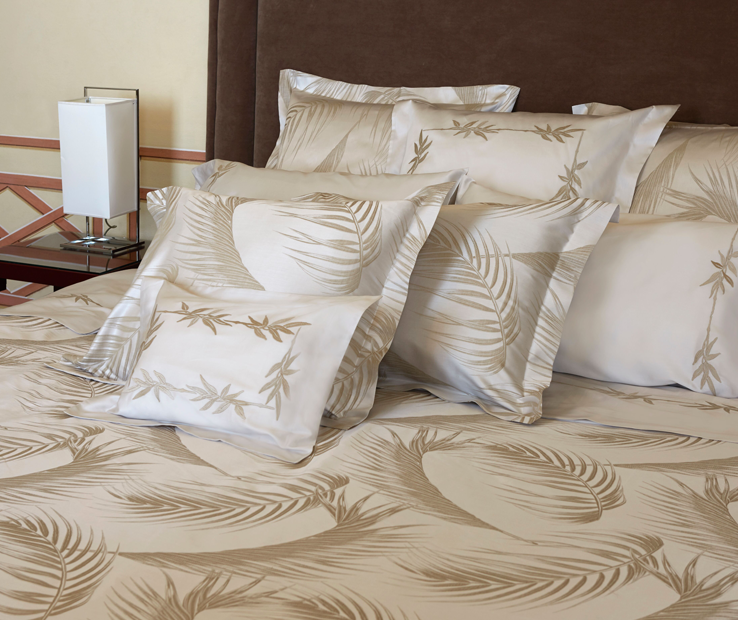 The Arona duvet cover is well suited to classic but also contemporary environments. 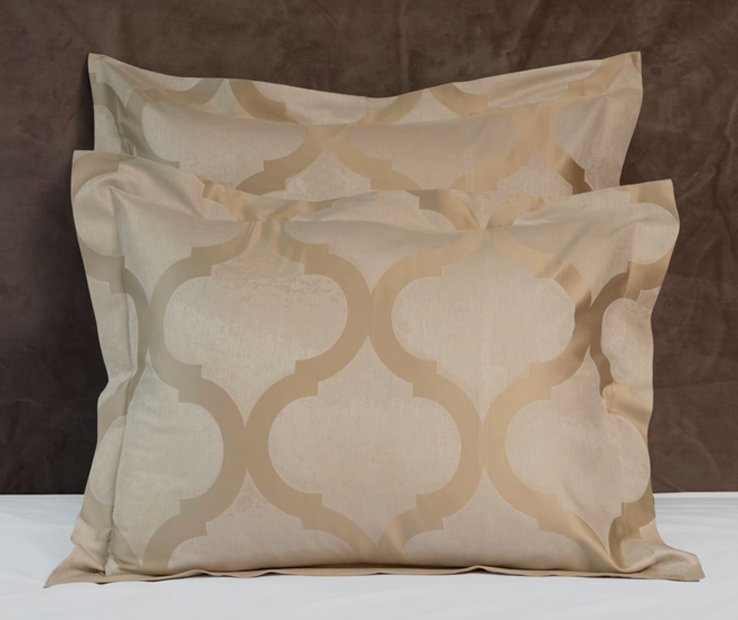 Available in Twin, Queen and King sizes, the Arona Duvet cover is backed with silky cotton sateen in coordinating color and is neatly finished with a simple hem, buttons closure. Made in Italy. This classic ornamental motif brings us back to the glories of Middle Eastern architecture, to the times when the Middle East influenced European culture and subsequently the whole world. 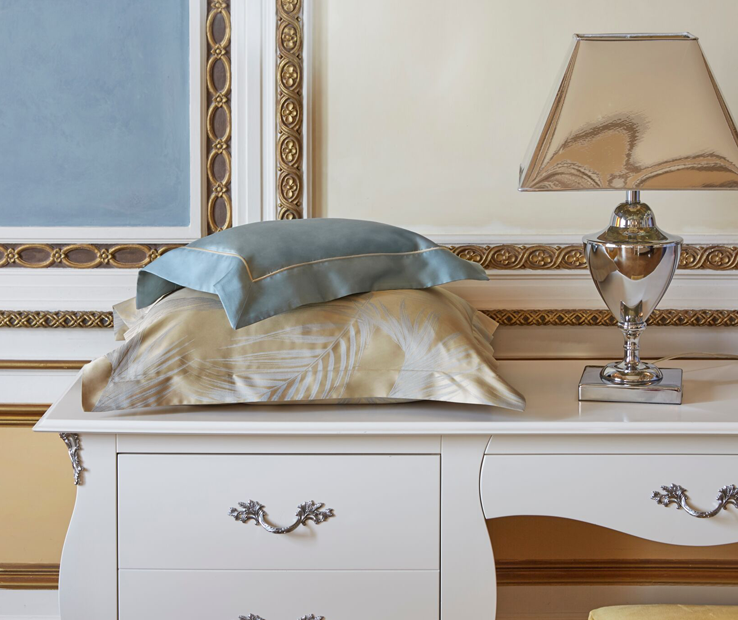 Signoria presents this motif in a modern interpretation and the result is a beautiful yarn-dyed jacquard fabric where the sateen gloss frames a mélange effect of the textures. The geometry of the Bellagio collection fits well with sophisticated and contemporary environments. 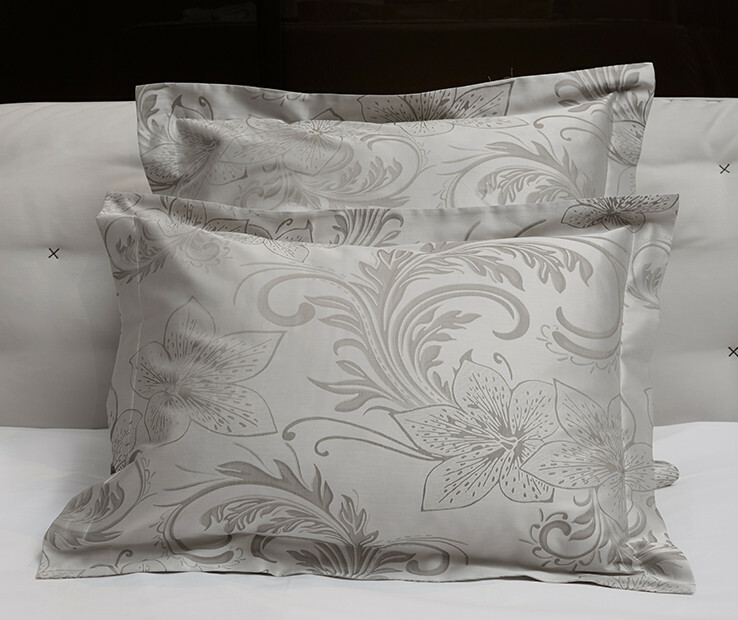 Available in Standard, Euro and King sizes, the Bellagio Sham has four flanges of 2 inches neatly finished with a simple hem. Made in Italy.